If you want to build a thriving, healthy business in the real estate industry, you probably need Realvolve. 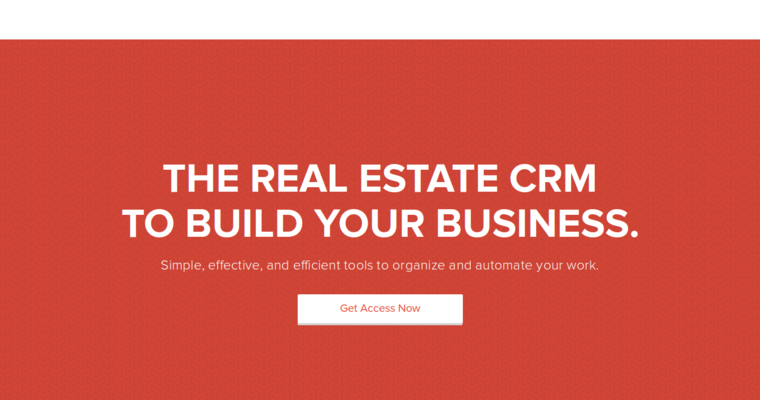 This CRM is designed from the ground-up for real estate agencies, agents, brokers and related professionals. Of course, the Realvolve is particularly effective for teams because of the power it brings to the table. Use Realvolve to collect leads, automate marketing tasks, collaborate with partners and keep track of buyers and sellers. The software also creates a centralized, secure cloud-based interface that everyone can use from either their web browser or mobile device. This means that firms can stay updated even when all their personnel are out in the field. Realvolve works by creating a framework for establishing and nurturing the kind of relationships that fuel long-term success. The firm also guides user activities to their most-profitable tasks by predicting their impact on your business. Realvolve also provides limitless opportunities for automation.